With the IoT, invariably networks and data can be extremely vulnerable to security breaches. A recent survey revealed some troubling concerns over the Internet of Things (IoT). The report was conducted by Forescout and Forrester. In this study, ninety percent (90%) of companies reported that they expect to see a significant increase of products and services associated with the network of IoT in the next five (5) years. The survey went on to also show that a variety of IT and line-of-business (LOB) decision-makers involved in enterprise security teams are now feeling anxious over the potential IoT-related security problems. It can be hard to depart from using IoT in many businesses entirely. 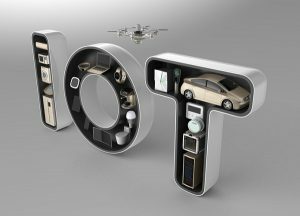 As the survey reported, eighty-two percent (82%) of respondents were unable to name all the IoT devices used in their companies. And when respondents were asked who is primarily responsible for ensuring that these systems are working correctly and secure, respondents didn’t have a clear answer at all. With the risk so high, many respondents, a whopping fifty-four percent (54%) said that the potential for IoT systems to fail in their businesses causes them anxiety. However, there was forty percent (40%) of respondents who said that they still use some traditional methods of security in addition to IoT. But what was so shocking to come out of this survey was that a staggering fifty-nine percent (59%) of respondents said that they would continue to use IoT to secure their businesses even with the potential for a breach, hack, or just failed to guard essential documents. In the end, companies need to be aware of the potential security risks that may occur in the future. Being mindful of all the secure data and networks within an organization can provide a certain level of security. However, more needs to be done. Improving the security among the IoT should be a top priority for those within the security industry who help to make sure all networks and data are backed up and secure. This entry was posted on Wednesday, November 15th, 2017 at 11:13 am. Both comments and pings are currently closed.